This year, we have quite a few holiday parties to get ready for. The kids all have parties for the scout troops (that's three parties! ), we have a party for karate, and we have a few family and friend parties. All of these parties means that I'm very busy cooking side dishes for them and preparing for the ones we are having at our house. Unfortunately, my every day life hasn't slowed down to make room for the extra festivities. In fact, our schedules are even busier. I don't have time to run from store to store looking for everything I need for my parties. That's why I am so thankful for Giant Eagle because I can get everything I need from food to holiday plates to paper towels. Last week, on our weekly Giant Eagle trip, I picked up what I needed for the scout party. I know Christmas is a time for candy and chocolate, but I wanted something healthier that would taste great for the kids. 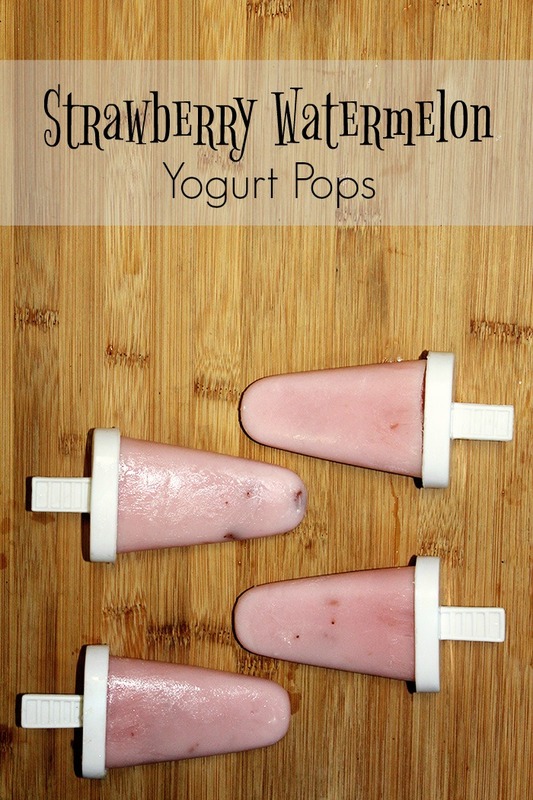 These strawberry watermelon yogurt pops are a healthier alternative, and the kids loved them. While I was at Giant Eagle, I found everything I needed for my holiday parties without running to several stores. I picked up Ritz Crackers, Triscuits, and Wheat Tins for my chipped beef dip; Birds Eye frozen vegetables for soup in the slow cooker; and Tropicana Orange Juice and Giant Eagle Orange soda for drinks. I also picked up Dannon Light and Fit yogurt and Tropicana Watermelon Juice for my pops. Who says pops are just for summertime? Not I! We eat them all year round. The darkness at 5 p.m. is starting to wear me down, so I wanted something to remind me of summer. I was in Giant Eagle and found Tropicana Watermelon Juice. If that's not summer, I'm not sure what is. I also picked up Strawberry Dannon Light and Fit single serves to make a strawberry watermelon yogurt pop. The easiest way to make the pops is to place the yogurt into a bowl and add the juice. Give it a good stir. Taste a little bit and decide if you want to add some honey. I don't like my treats super sweet, so I did not add it. Pour in to a small disposable cup or reusable pop container. If you're using cups, let them freeze for an hour before you put the stick in them. Return to the freezer for 3 more hours. If you use a reusable container, freeze them for 4 hours. You can eat them as soon as you take them out of the freezer or put in a bowl for 10 minutes and eat with a spoon. If you use a mold like I sit, let them sit for 5 minutes or run them under cold water to loosen the pops. These pops are easy to make, healthy, and a special treat in the summer. 1. The easiest way to make the pops is to place the yogurt into a bowl and add the juice. Give it a good stir.2. Taste a little bit and decide if you want to add some honey. I don't like my treats super sweet, so I did not add it.3. Pour in to a small disposable cup or reusable pop container. If you're using cups, let them freeze for an hour before you put the stick in them. Return to the freezer for 3 more hours. If you use a reusable container, freeze them for 4 hours. 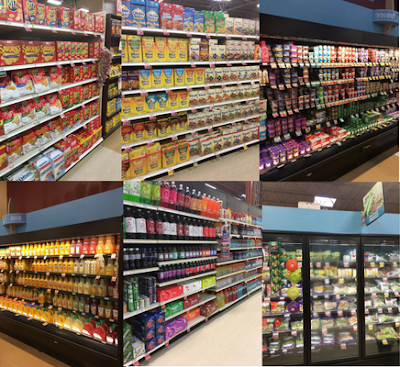 How often do you shop at Giant Eagle?